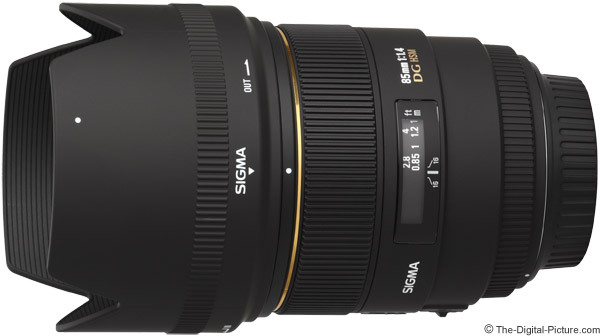 The Sigma 85mm f/1.4 EX DG HSM Lens hit the streets with great anticipation and generated many requests for a full review. Reasons for the interest? First, the 85mm focal length is very useful - especially for portraits. Second, the f/1.4 aperture is very wide - allowing 16x as much light into the camera as many consumer zooms at their f/5.6 max 85mm apertures (2x as much light for each stop times 4 stops) with the ability to create a strongly-blurred background. In addition, the Sigma 85 features excellent build quality, HSM AF and a demand-inducingly low price. 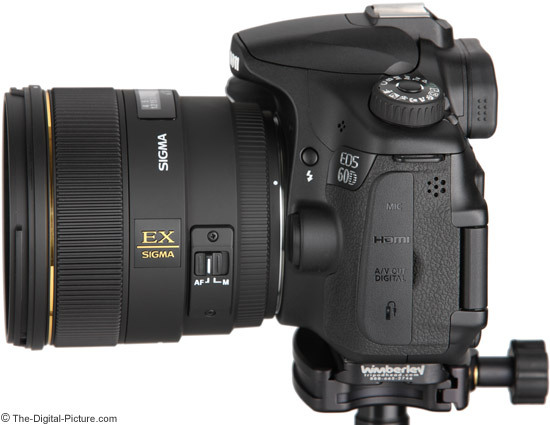 When I see the specs this lens has, my immediate thought is that it is an ideal portrait photography lens. Classic portrait focal lengths fall into the 85mm to 135mm range (after FOVCF is factored in). An 85mm lens hits the bottom figure on a full frame lens and, at a 136mm angle of view equivalent, is essentially still in the ideal portrait range on an APS-C 1.5x or 1.6x body. 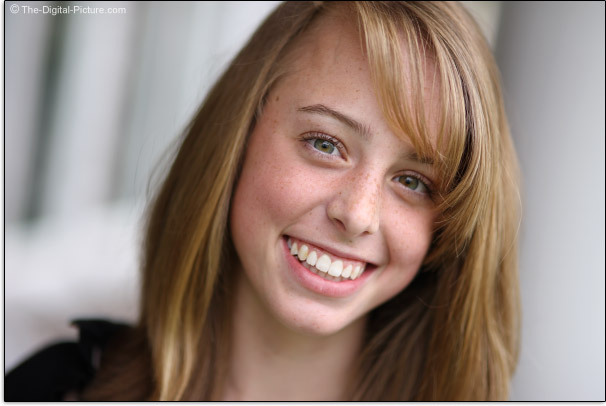 Here is a head shot portrait example taken with the Canon EOS-1Ds Mark III and the Sigma 85mm f/1.4 EX DG HSM Lens at f/1.4. Notice the lack of perspective distortion that would typically cause the nose to appear enlarged if taken with a wider focal length. This focal length combined with a super-wide aperture creates a very shallow DOF (Depth of Field) at this short focus distance (notice that the slightly-more-distant eye is starting to go out of focus). When shooting 85mm f/1.4 portraits at this distance, attempt to position the subject's face so that the plane of sharp focus runs across the mouth and both eyes. If you want both eyes and ears to be sharp, a narrower aperture is necessary. I will include more portrait samples in the Sigma 85mm f/1.4 EX DG HSM Lens sample pictures gallery (and will provide more insight into shooting portraits with an aperture this wide). 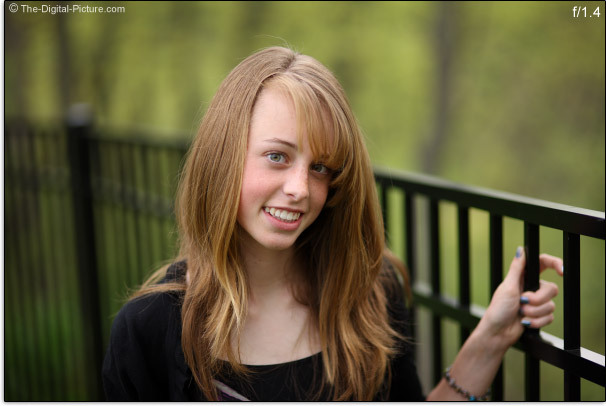 Click on the following image to view an 85mm full range aperture comparison. Notice how the shallow DOF examples focus the viewer's attention on the subject by eliminating the distracting background. I love it. Also, it seems that there is always enough light to handhold a camera at f/1.4 - even without image stabilization. Portrait photography is a broad term with a wide variety of potential subject framing (from full body to head shots) and a wide variety of potential venues including in-studio, at weddings and other events (where low light seems to be the rule), outdoors, at home in low light or natural (window) light, etc. This focal length works well for these situations - again, allowing a pleasing perspective. The subject will not appear flattened from a too-far-away perspective or distorted from a too-close perspective. The wide aperture brings in tons of light to allow lower ISO settings (with the low noise levels that come with them) and fast-action-stopping short exposures (fast shutter speeds). The Sigma 85mm f/1.4 EX DG HSM Lens is definitely not reserved only for portrait photography. With excellent image quality (I'll explain in detail next), this lens works very well for landscape, architecture, products (medium through huge) and a wide range of other subjects. The strong background blur potential this lens contains makes it a great option for a variety of artistic-style imaging. To be useful for these types of photography in a professional manner of course requires a lens to deliver excellent image quality. And in this regard, the Sigma 85 does not disappoint. The Sigma 85mm f/1.4 EX DG HSM Lens is sharp in the center at f/1.4 (wide open) and only slightly less so in the full frame corners. Stopping down the aperture (selecting a narrower opening) yields a slight image quality improvement in the center of the frame. The corners show increased contrast/sharpness (and reduced vignetting) until the aperture narrows to f/4 where image quality is very impressive. I usually expect a noticeable amount of peripheral shading/vignetting in an ultra-wide aperture lens and the Sigma 85 f/1.4 indeed shows a modest 2 stops of darkening in the corners. APS-C (1.5x/1.6x) body owners will not likely notice any peripheral shading even at f/1.4. CA (Chromatic Aberration) is very well controlled - only a tiny amount is seen in full frame corners under strong contrast conditions such as black on white. Some bokeh CA is visible at wider appertures. Also very well controlled is flare. Even with the sun in the corner of the frame, only a small amount of flare shows in the image. This lens is practically distortion-free. Bokeh refers to the quality of the background blur (not to be confused with the amount of background blur). Here is an example of the Sigma 85mm f/1.4 EX DG HSM Lens bokeh along with a comparison with three other similar lenses. These examples are of a small basket of flowers - they were captured at f/5.6 with a shared camera position and point of focus. While it does not create quite as strong of a background blur as the other three lenses (this can also be seen in the aperture comparison at the beginning of the review). The quality of the blur looks very nice to me. 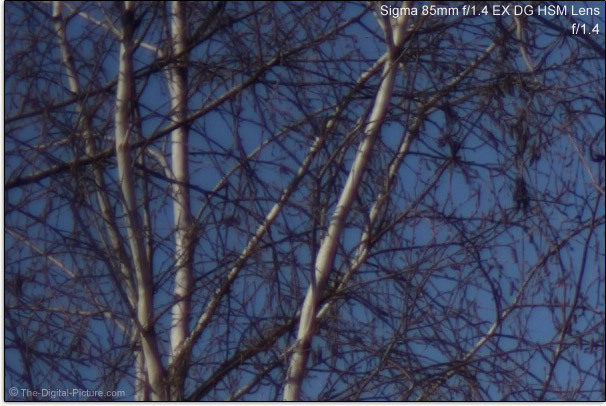 The Sigma 85 has 9 rounded aperture blades. I have been using the Sigma 85mm f/1.4 EX DG HSM Lens a lot over the last few months with a frame count in the thousands. I find this to be a very useful lens - and one I really like to use. When I get an accurately-focused image, I really like the image quality from the Sigma 85 - it is really nice. But accurate focusing is this lens' definite weakness - getting accurate focus has been an issue. Roger at LensRentals.com is having the same problem - at review time, he has a warning posted on his Sigma 85mm f/1.4 EX DG HSM Lens rental page for this lens. Sigma gave the 85 f/1.4 an excellent HSM (Hypersonic Motor) AF implementation. 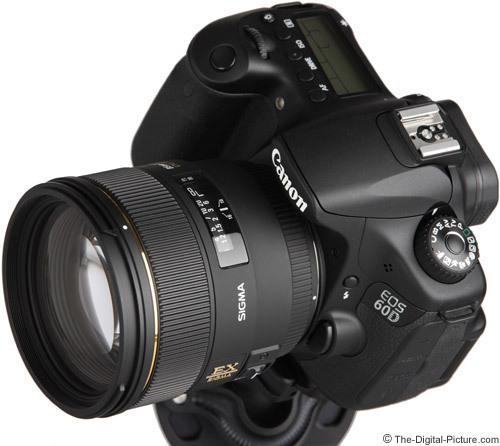 The lens quietly and internally focuses quickly (noticeably faster than the Canon EF 85mm f/1.2 L II USM Lens. FTM (Full Time Manual) focusing is enabled and the front filter threads do not rotate (important for the use of some types of filters). The big problem, as I already indicated, is that the lens does not focus accurately, consistently. Accurate focusing is especially important when shooting with the shallow DOF this lens is capable of. My experience with AI Servo focusing was even worse with a very low keeper rate for even moderately fast moving subjects. Over-shooting a scene gave me the one-shot AF results I wanted on most occasions. To "focus" on the positive - the Sigma 85mm f/1.4 EX DG HSM Lens has a very nice manual focus ring. The nicely-sized ring is moderately stiff, but works smoothly with a reasonable amount of rotation (105°) for achieving precise focusing. A decent number of focus distance markings are provided (in ft and m) in the focus distance window. DOF markings are also provided - but the markings are only for f/16, so in my opinion, they don't count. I'm not seeing a focus breathing issue - the subject, though it becomes blurred, retains its size during focusing (a desired trait for a video lens). While it is not going to win any close-focusing awards, the Sigma 85 f/1.4 has a MM (maximum magnification) spec that is nearly the same as the other 85mm prime (fixed focal length) lenses. The .12x MM value is weak for flowers and similar subjects, but is adequate for head shots as seen earlier in this review and in the sample photos. The Sigma 85 f/1.4 has a very nice build quality. It feels very solid with no play or wobble in the focus ring. The only other exterior moving part is the manual focus switch which is obviously raised and, as usual, conveniently located for use with the left thumb. I have never been a fan of Sigma's speckled matte lens finish, so I'm happy to report that the Sigma 85mm f/1.4 EX DG HSM Lens features a new finish. While the new finish feels slightly rubberized, it does not show fingerprints and dust like the older Sigma finish. It is too early to tell if this finish will prove more durable than Sigma's previous finish. As usual, Sigma includes the hood in the box. 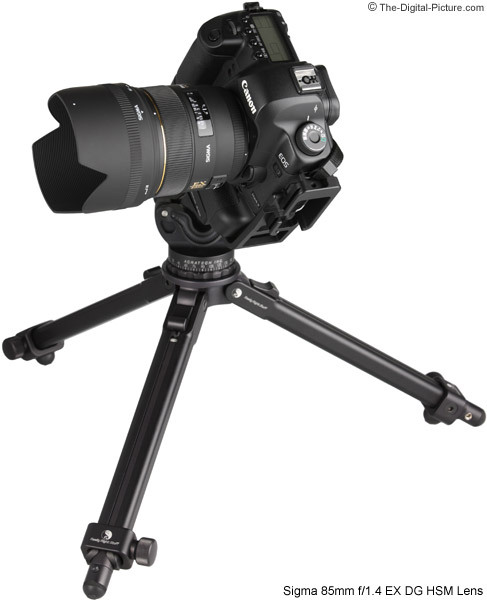 As Sigma has been providing with some of their latest full-frame-compatible lenses, a hood extension is also included. The hood extension, shown in position below, provides better protection from flare when used on APS-C bodies. A nice padded case is also included in the box. 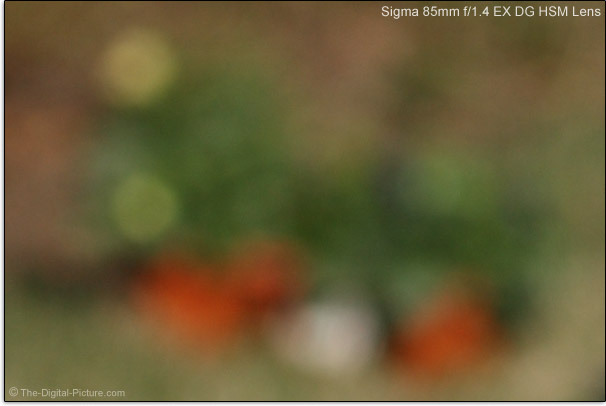 I always appreciate Sigma's center-and-side-pinch lens caps. They are easy to install and remove with the lens hood in place. The 77mm filter size, though somewhat large, is a common one - you likely will have other lenses that can share filters with this one. 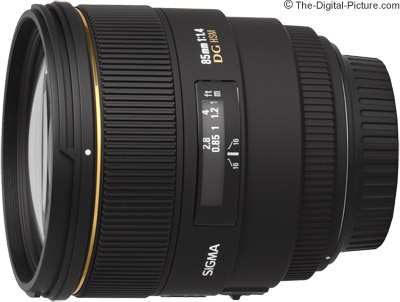 The Sigma 85mm f/1.4 EX DG HSM Lens has some heft, but its weight falls in line with its specs. You are going to know that there is something in your hand when using this lens - from both a weight and size standpoint. But, I really like the size and weight of this lens - I find it easy to hold this lens steady. The size and shape of the lens, with the large amount of glass, looks impressive as well. Let's review a set of 85mm lens image quality comparisons. The combined size of the following files is large, so please be patient while they load and the mouseover links become enabled. These images were captured on a clear day using a Canon EOS-1Ds Mark III. Note that even a 1/8000 was not fast enough to get a proper exposure on a sunny day. While I could adjust these images to the correct exposure (darker) in post processing, a camera with a max shutter speed of 1/4000 would have potentially uncorrectable exposure issues when shooting in full sun due to blown highlights. Neutral density filters are the solution - or a better camera. RAW images were processed using the Standard Picture Style with sharpening adjusted to "1" (very low) and the Daylight white balance setting selected. Click on the image below to open an 85mm image quality comparison in a new window/tab. Compared are the Sigma 85mm f/1.4 EX DG HSM Lens, Canon EF 85mm f/1.2 L II USM Lens, Zeiss 85mm f/1.4 ZE Planar T* Lens and Canon EF 85mm f/1.8 USM Lens. The Sigma 85mm f/1.4 EX DG HSM Lens and the Canon EF 85mm f/1.2 L II USM Lens are perhaps the co-winners of this comparison. Both turn in impressive image quality. The Canon has a slight advantage in the extreme corner comparison. The Sigma has a slight advantage in the center of the frame at f/1.4, but the Canon has modestly better contrast overall. The Canon again has the modest advantage in the mid-lower right example. The Canon has a 1/2 stop aperture advantage and creates a slightly more blurred background at identical aperture settings. The Sigma has a faster AF system, but the Canon has the definite and significant AF accuracy advantage. 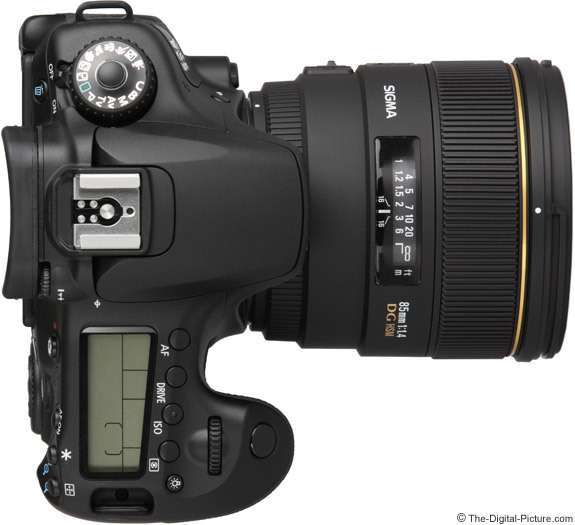 I prefer the Sigma's MF over the Canon's electronic manual focus system. Perhaps the biggest differentiator between these two lenses is the price tag. Many are going to accept the Sigma AF accuracy deficiency over the premium cost of the Canon. At review time, you could buy two Sigma 85s for the price of one Canon 85 L II - and have a very nice amount of change left over. 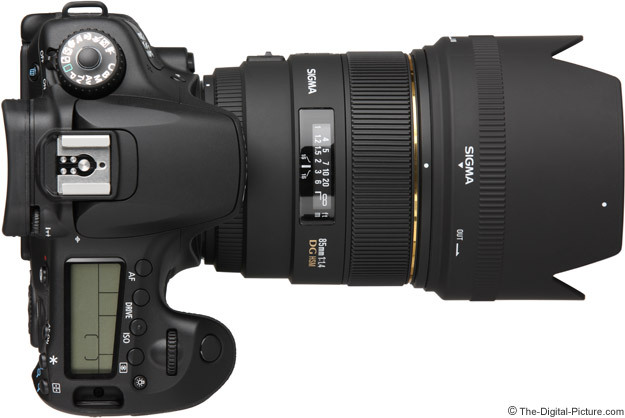 The Sigma 85mm f/1.4 EX DG HSM Lens is available in Canon (reviewed), Nikon, Pentax, Sony/Minolta and Sigma mounts. My standard disclaimer: There are some potential issues with third party lenses. Since Sigma reverse engineers (vs. licenses) manufacturer AF routines, there is always the possibility that a DSLR body might not support a (likely older) third party lens. Sometimes a lens can be made compatible by the manufacturer, sometimes not. There is also the risk of a problem that results in the lens and body manufacturers directing blame at each other. Sigma USA's 4-year warranty is far superior to Canon's standard 1 year warranty (Sigma's international warranty is also 1 year). This lens delivers very high image quality in a very well-built, high quality package that has a reasonable price tag. As I said in the beginning of the review, portrait photography is the first use that that came to my mind when acquiring this lens. With the potential to sell your portrait services, it should not be hard to pay for this addition to the kit. Or just use it to capture high quality memories of your own family. This is a very fun and useful lens for the price.